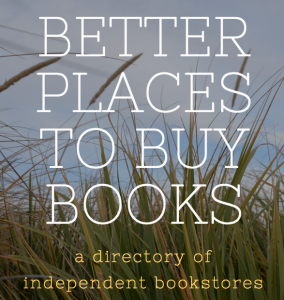 Looking for an Indie Bookstore? Look No Further! “By my count, there are 2,305 independent bookstores still standi9ng in the USA. You can’t find them everywhere. In the Dakotas, there are 20, total. California’s Bay Area boasts 142, more than any state except New York (home to 175). In Louisiana, 16 of the state’s 20 Indies reside in New Orleans. Some stores, like Tim’s in Provincetown, scale back their hours in winter; Kramerbooks in DC stays open 24 hours on Fridays and Saturdays, 1 a.m. otherwise. Scout’s Books, in Vale, Ore., is open by chance. Why does Ms Brittain know so much about indie booksellers? Inspired at least in part by the ongoing battle between Amazon and Hachette, (and concern that as Amazon’s market share grows, it will have not only a great ability to make decisions about pricing, but, at least potentially, about what will be published as well), she set out to bring together America’s independent bookstores into a single database; creating the online directory she’s named Better Places to Buy Books. “When I’m worried about the state of publishing or the state of the world or the state of my life, I often wander down to my own local indie, BookCourt. I don’t go there to shop, necessarily, or even to talk with the booksellers whom I know, and who know me, by name. No, I go there to be in the presence of books and what they represent: curiosity, passion, and the breadth of a world that will, thank god, always be beyond me. Need I say I can find none of this online? 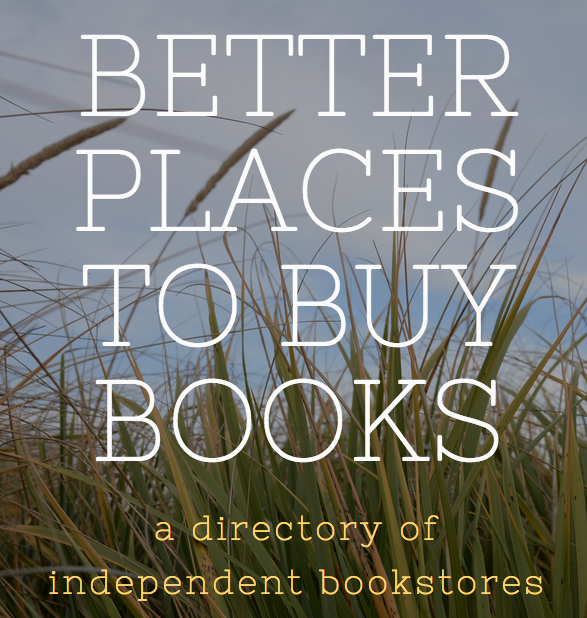 If you have additions or corrections for the site, email Ms. Brittain at betterplacestobuybooks@gmail.com.